Saxophone history begins with a Belgian instrument maker. 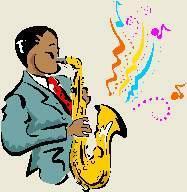 Adolphe Sax created the saxophone in Paris in 1842. He put a clarinet-like mouthpiece onto a metal body with a conical shape similar to an oboe and came up with an instrument louder than traditional woodwinds and suitable for military music. Early music for the saxophone included limited classical compositions and martial music. However it did not become widely popular in the 19th century. At the turn of the century, the saxophone was used in vaudeville mostly as a novelty instrument - emulating chicken calls and played with a slap-tongued technique. Early brass bands in New Orleans had clarinet players who doubled on the sax, but it was not a major instrument at that time. These early clarinetists were playing counterpoint against a melody which was typically played by a cornet. As big bands and swing music developed in the 1930s, clarinets became prominent as lead instruments. In the 1040s Bop music developed and clarinets became scarcely used solo instruments. They were replaced by saxophones. From that time until this day the two leading solo instruments in jazz have been the trumpet and the saxophone. One of the most prominent clarinet players in New Orleans at the beginnings of jazz was Sidney Bechet. The cornet was much louder than the clarinet and Bechet did not like being unable to compete in volume with the brass melody instrument. He began to use the soprano saxophone for more volume than he could get from the clarinet. With the increased volume he was able to make the soprano saxophone a solo instrument. In saxophone history, Sidney Bechet became the first great jazz soloist. Coleman Hawkins, (November 21, 1904 - May 19, 1969) was the first great jazz tenor sax player. His professional career began in 1920. In 1924 he was the original lead tenor in the famous Fletcher Henderson Orchestra. His playing was still old school stacatto and slap tongue until shortly after Louis Armstrong joined Fletcher Henderson. Hawk's playing was greatly influenced by the legato style and originality of Armstrong's playing. Hawkins became the indisputable leading saxophone player and almost every other sax player began sound similar to him. Coleman Hawkins remained one of the leading saxophonists in jazz into the mid 1960s. Ben Webster (March 27, 1909 - September 20, 1973) was an early follower of the Coleman Hawkins' type of jazz saxophone. Ironically, he actually played in the Young family band with Lester Young early on. Webster took Hawkins place in the Fletcher Henderson band and later became the star tenor in Duke Ellington's best loved band. His warm, powerful, growling sound and intense vibrato influenced many later players. He is the second great swing sax player in saxophone history. Ben Webster is one of my personal favorites. Lester Young (August 27, 1909 – March 15, 1959) was the second great pioneer on the tenor saxophone. He had a lighter and airier tone than Coleman Hawkins and his playing was less forceful. Rather than attacking a song, his sax floated over the song. In fact, "Prez" replaced Hawk in the Fletcher Henderson Band for a few months until Henderson reluctantly fired him because the other band members wanted a tenor sax that sounded like Hawkins. They got Ben Webster. Young starred in the great Count Basie Band and make numerous recordings with others, including beautifully backing Billie Holiday on many recordings. Both his tone and his harmonic ideas were precursors to Charlie Parker's revolutionary playing. His is a bright star in the saxophone history pantheon. Lester Young was also a master on the clarinet. Charlie "Bird" Parker, Jr. (August 29, 1920 – March 12, 1955) is one of the truly great giants of jazz saxophone history and all jazz history. He played alto sax in in a revolutionary way. In early jazz, players embellished the melody when they soloed. In swing jazz improvising went further than mere embellishment and the solo was based on the chord structure of the song. Charlie Parker played solos using the 9th, 11th and 13th intervals of the chords. In other words he used notes in the scale of the chord but not in the primary triad and 7th. And he did this at an extremely rapid pace. Along with Dizzy Gillespie, Bird was the first great jazz player to establish the be-bop or bop style of jazz. He played in unison with other horns at breakneck speed and then soloed also extremely fast using the intervals mentioned above. Although panned by jazz critics and criticized by established jazz players, the bop innovations came to affect all of jazz. Charlie Parker truly changed all of jazz after him. John Haley (Zoot) Sims (October 29, 1925 - March 23, 1985) was another great swing style tenor saxophonist. He played with many of the leading bands of his time, including Benny Goodman and Woody Herman. He also played frequently with Gerry Mulligan and led a number of his own small bop combos. Zoot Sims did not change the way other sax players played, but nobody swung more. He played with a warm tone, fluid style, and consistent melodic inventiveness. I always enjoy listening to Zoot Sims. Cannonball Adderley is one of the greats in alto saxophone history. He got popular just after Charlie Parker's death and at first was called the "new Bird". He was not a new Bird, but was a great sax player in his own right. His hard-edged tone and blues and soul influenced playing presaged the development of hard bop. Listening to Cannonball Adderley play his joyful, soulful sax is always rewarding. Who is your favorite sax player?